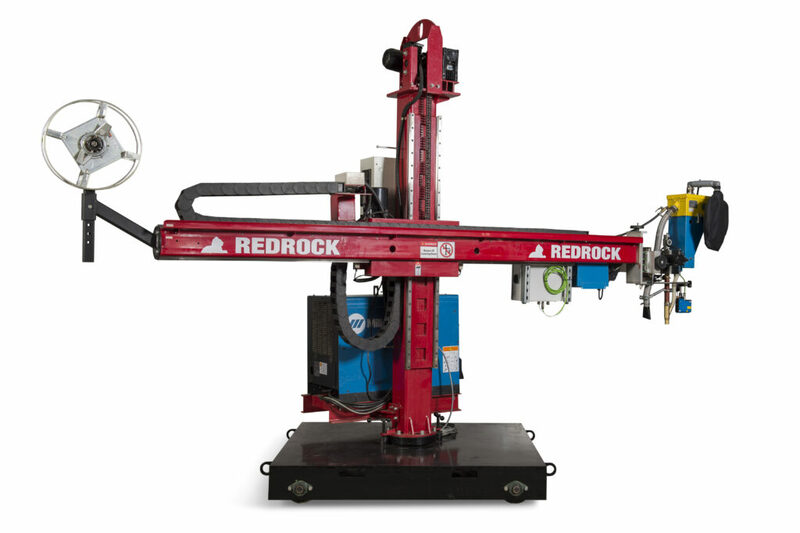 Redrock Automations Submerged Arc Welding Packages are suitable for a range of fabrication shops and industrial applications. 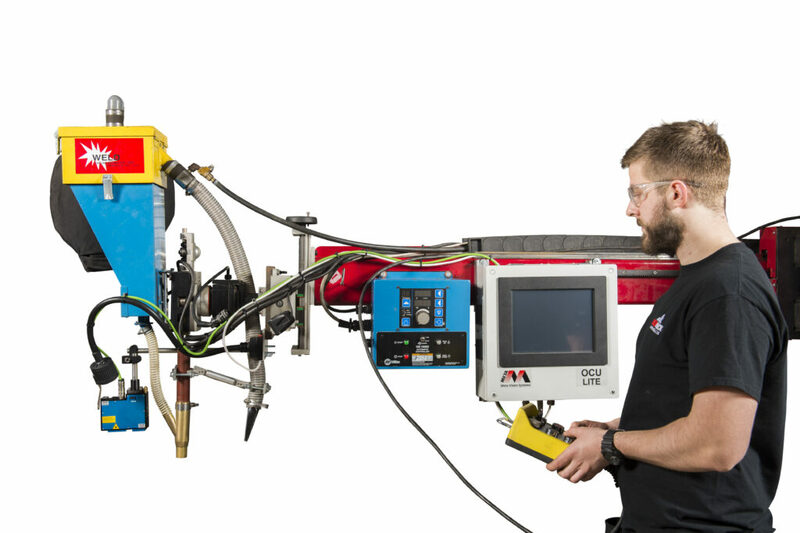 With the right setup, welding operations can be optimised to deliver top-quality welds faster, with better efficiency and higher deposition rates. Operators will be able to weld large joints with fewer passes, maximising throughput. Prep time can be minimalised as can the operational floor space in fabrication shops. With a Sub Arc Welding system, the arc is submerged under a layer of granular flux. There are no fumes, smoke, sparks, spatters or arc rays. Sub Arc Welding provides businesses with improvements to health and safety as well as an environmentally-friendly process. Sub arc welding can be used on all types of steel. It is renowned for its ability to penetrate deeper into thicker steel with higher temperatures. It offers significant advantages when used with carbon, HSLA (High-Strength Low-Alloy) steels and nickel-based alloys. That said, sub arc welding lends itself well to thinner steel profiles used for welding propane tanks, boiler systems and water heaters – just increase the speed to lower the temperature when working on thinner steel profiles. Submerged Arc welding gets its name from the process. The weld operation is invisible to the eye as it happens under a thick layer of flux. The flux is conductive when molten, allowing current to pass to the workpiece without any sparks, splashing or fumes. The flux is fed from a hopper through a weld head using a continuous feed. Depending on the setup, one to five wires (electrodes) are continually fed to maintain an arc under the flux. Excess flux can be collected via a flux recovery system for reuse. Redrock Automation supply various auxiliary equipment for sale or hire. Sub Arc Tractors are ideal for portability in workshops requiring a SAW process for a range of applications. As the tractor is portable, you can move it to the workpiece, reducing manual handling of objects. These are suited to long and straight weld operations on workpieces up to 10 feet. A sub arc tractor provides operator comfort and ease of use via a digital control panel, and in some systems, the one central unit will control the weld parameters, such as speed and polarity, as well as the SAW tractor unit, instead of two control panels. 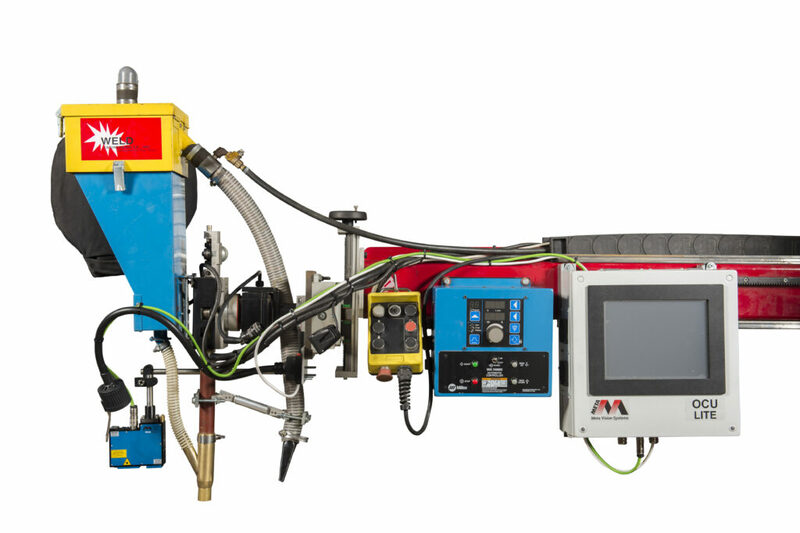 For welding large objects, the weld head on the SAW system can be positioned above the workpiece, and combined with a rotator to turn the object at a consistent speed. We can supply conventional and self-aligning welding rotators. Advice and pricing on request. Positioners can be used to increase operator efficiencies in manual weld operations or integrated into a mechanical process. 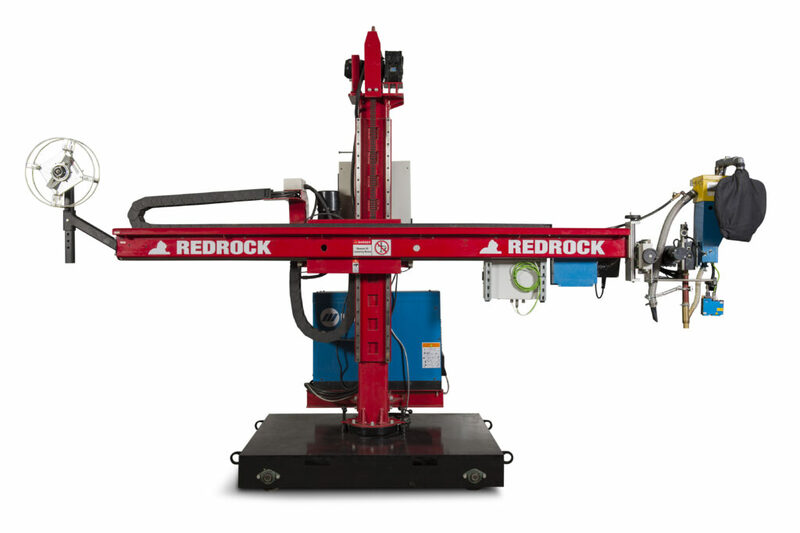 We stock a variety of positioners suitable for a range of operations, such as our 3-axis hydraulic positioners with adjustable speed and high angle rotation allowing welders easier manipulation. We also stock heavy duty cradle positioners for loads from 150KG to 100 tonnes. For automating the weld process of large cylindrical objects such as wind towers and pressure vessels, positioners can be integrated to optimise the work process. 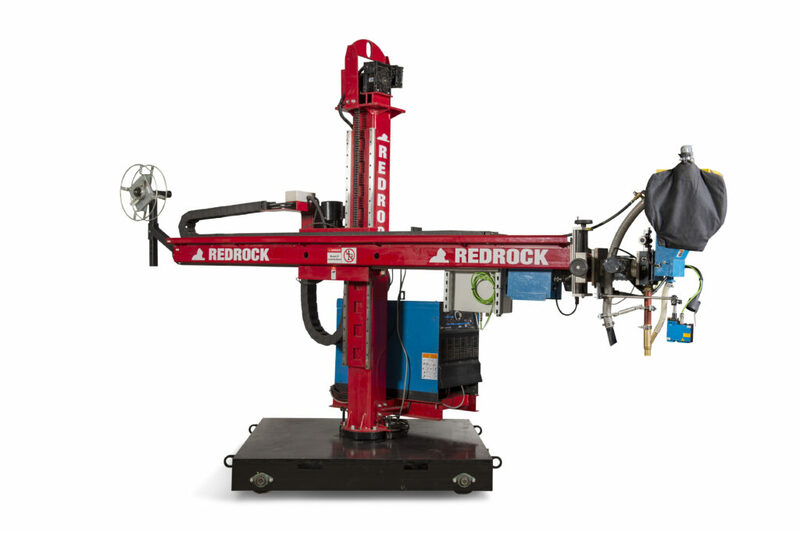 Sub Arc Weld Manipulator systems have multiple components including a flux recovery system and motorised travel car with forward and reverse motions at various speeds. These can be integrated with column and boom manipulators, and other models, with remote camera systems available. Cameras can increase the quality of weld further as the weld head, alignment and process is visible, with some camera models able to provide additional lighting for increased visibility. As flux is continuously fed from a hopper in a Sub Arc system, a flux recovery system is pivotal to reduce operational costs. The most efficient flux recovery systems can automatically separate slag, fines and dust from used flux, returning only the usable flux to the hopper for reuse. With automatic separation of contaminated flux, labour time is reduced. As all flux returned to the hopper is free from contaminates, the quality of weld remains consistently high. Naturally, recycling flux provides operational savings. Our standard single SAW will deliver exceptional deposition rates. For further gains, we can also supply or arrange for hire, a Tandem SAW package, capable of up to 30% higher deposition rates than our single wire SAW package running on DC power only. With our Tandem SAW package, there are two wire feeders, two power supplies (run separately), and two larger diameter wires with both feeding into the same molten puddle. Both wires have separate controls, power supplies and contact tips. Double the power and components with a Tandem SAW and you can at least double the deposition rates of a single-wire Submerged Arc Welding system. The ease of use of our Submerged Arc Welding Package can free up skilled operators for tougher jobs requiring highly skilled welders. 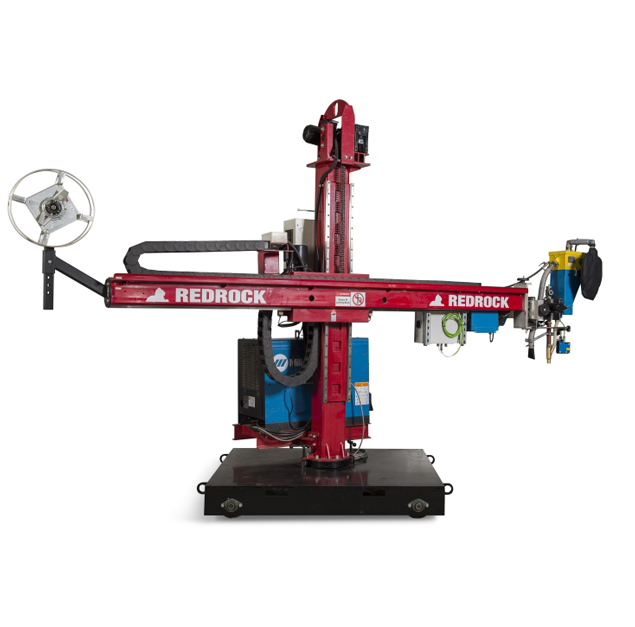 Leave your information below and a member of the Redrock team will be in touch to give you more information about our submerged arc welding equipment.